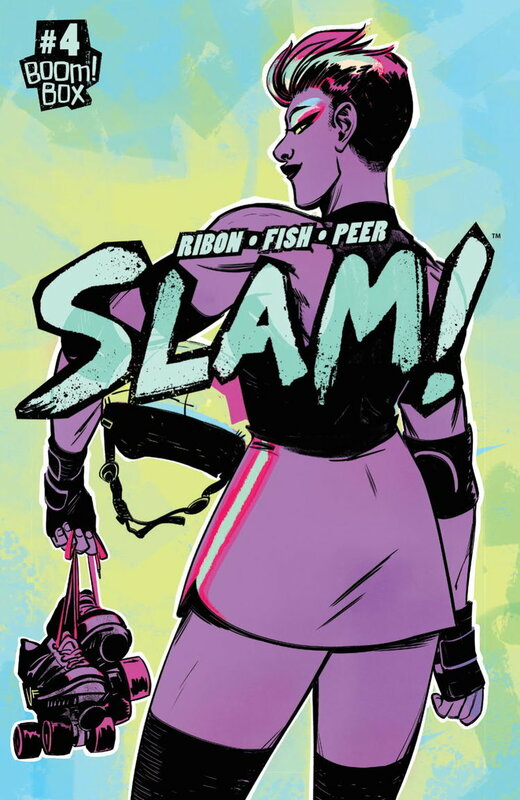 Now that we’ve gotten to know the characters, particularly the core duo of Jennifer and Maisie, this issue switches to action, showing the reader what it would be like to be on the derby floor. The two friends are on the outs, playing on different teams and unable to deal well with the situation, so having emotional character development take a backseat at this point in the series makes storytelling sense. Of course, it’s not really either/or, as we learn more about the personalities through what happens in the bout. Pamela Ribon and Veronica Fish establish the feeling of camaraderie that happens when women are pushing themselves physically to build a team. Much of the storytelling happens through the art, demonstrating confidence that we can read the images without having everything narrated to us.